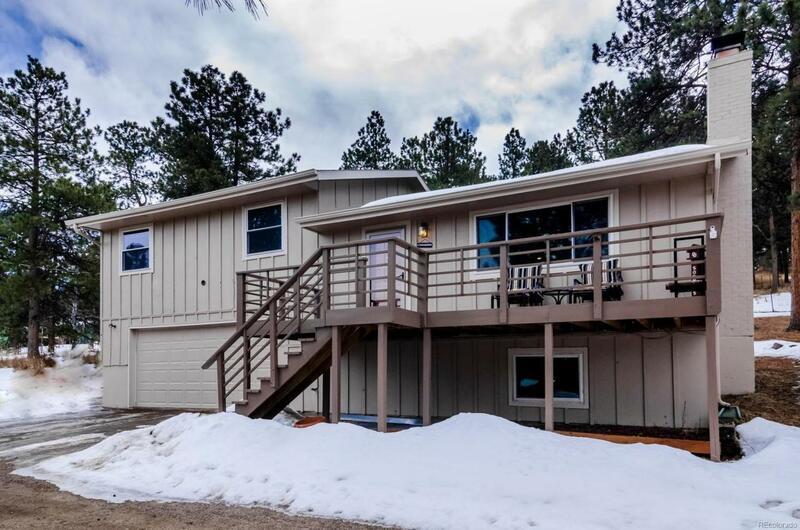 Conveniently located to the area schools, Evergreen lake, historic downtown and Alderfer Three Sisters trail system that includes over 1000 acres of scenic Colorado and 15 miles of hiking and biking trails. 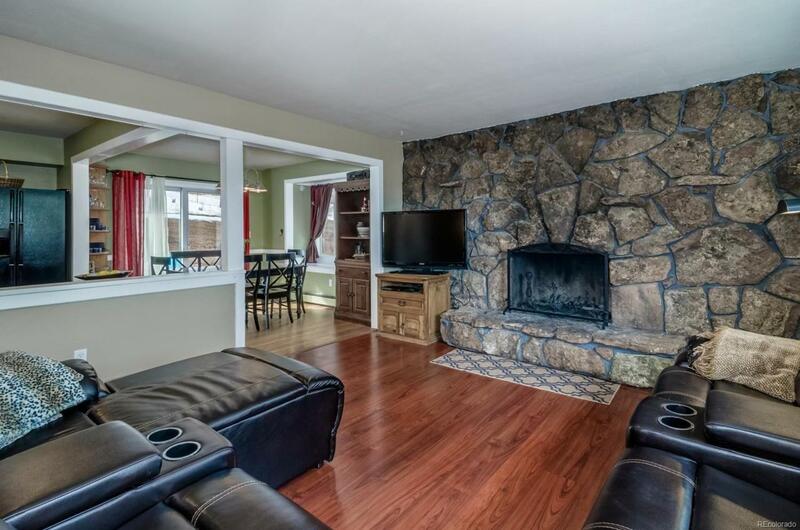 This 3 bedroom, 2 bathroom home has an open floor plan so the stone fireplace in the living room can be enjoyed while cooking or dining. 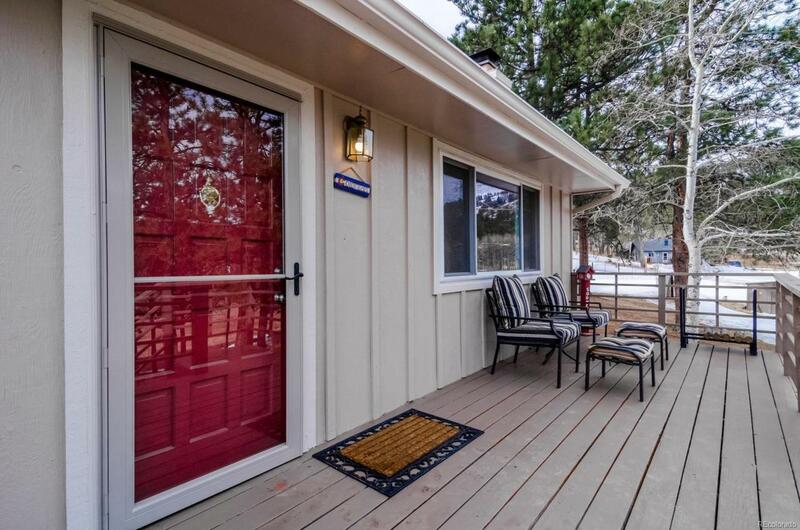 There is easy access to the front deck providing distant mountain views or the backyard to enjoy your fire pit for those cool Colorado evenings. The master bath has been artistically remodeled with rustic features and textures for a true mountain feel. The downstairs open family room with brick fireplace is presently set up as a spacious 2nd master suite adjoining the remodeled bathroom with custom tile shower. 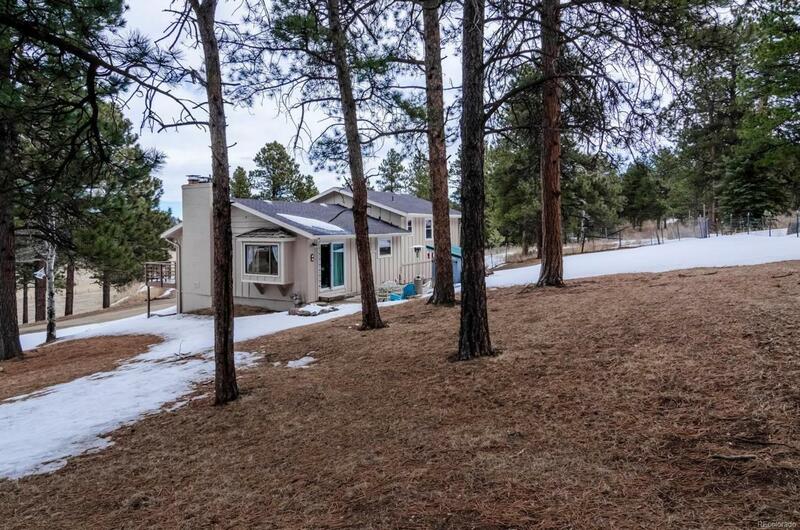 Complete this cozy home with a 2 car over sized garage, 1 acre of gently sloping land, fenced area for your pets, with MR-2 zoning and domestic well for a multitude of uses!